Heeft u een vraag voor Bangkok Hub Hostel? Of u nu een toerist bent of een zakelijke reiziger, Bangkok Hub Hostel is een uitstekende accommodatie tijdens een bezoek aan Bangkok. Het stadscentrum is slechts 0 km verwijderd en het vliegveld kan worden bereikt binnen 40 minuten. Een baken van rust en ontspanning: dit hotel is het perfecte verblijf op steenworp afstand van bezienswaardigheden als Sathorn Unique Tower, Diamond oval ring, Chinese Tempel Jael Aeung Beal. Het Bangkok Hub Hostel biedt een onberispelijke service en alle essentiële voorzieningen om reizigers een plezierig verblijf te bieden. Dit hotel beschikt over vele faciliteiten die zelfs de meest veeleisende gasten zullen overtuigen. Alle accommodaties beschikken over doordachte voorzieningen om een ongeëvenaard gevoel van comfort te garanderen. Of u nu van fitness houdt of gewoon lekker wilt ontspannen na een drukke dag, het kan allemaal in dit hotel dankzij faciliteiten als massage. Wat de reden van uw bezoek ook is, het Bangkok Hub Hostel is een uitstekende keuze voor uw verblijf in Bangkok. I stayed in an 8-bed dorm type room but there were 3 of us only. Aside from the bed which still has the plastic cover which is a bit uncomfortable, all are fantastic. It is located centrally and is very near the train station and pier. Lovely central location. Friendly owner. Basic but clean rooms. Would gladly stay here again. Only complaint would be that sometimes there's no staff around if you need to ask a question. It's in extremely convenient location and we liked the cleanliness of the room (we had double ensuite with bathroom). It was perfect decision to stay at this property for new year Eve 2018, we gazed at the fireworks at the bridge nearby. Value for money 5*****! Near to many message parlours and food stalls. Most importantly it is very close to Chao Praya River so you can walk around and see the landmarks in the city. It is close to Sathorn ferry pier too. So can take a ferry ride to many places. Much fun. we were here last sept.6-9,2017. 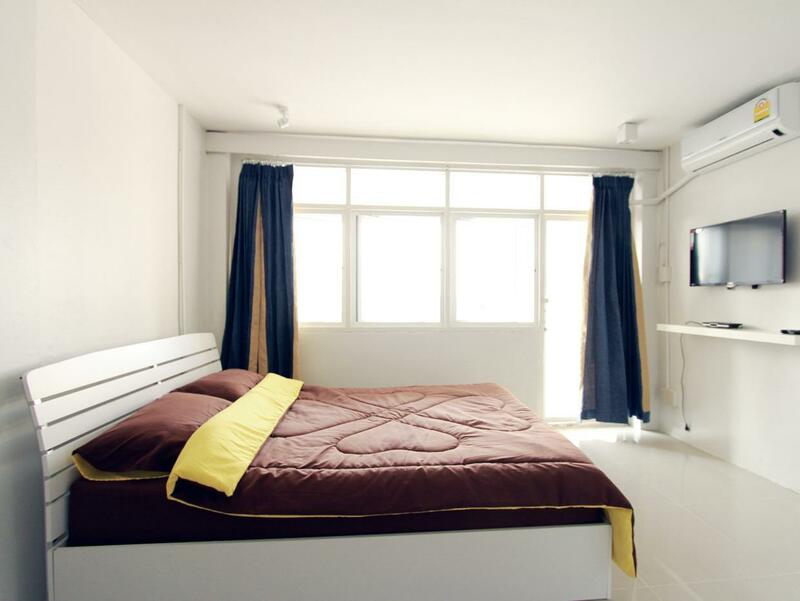 the location was great its just walking distance from chao phraya river and walking distance at saphan taksin bts station. the staffs are very accomodating and knowledgeable. they speak english which is very helpful. they even gave us free noodles thankyou :)). we asked for places to eat and there suggestions were great. all in all we were very satisfied with the servie and we will be coming back soon :)). I checked in with my mom for 5 nights. Once you go enter the hostel, you are greeted by cats in the lobby. This might be good or bad depending if you love or hate cats. You can pet them and play with them. The room that was given to us was on the 6th floor (they call it 5th floor but you need to climb up 6 floors). The stair was narrow and dark. I even had to use my phone flashlight at night so I can see where I'm walking or I might fall down the stairs. Room size is good. However, the aircon unit was leaking and water drips on the bed. My mom had to lie down on wet sheets. Water supply is not consistent. There were a lot of times that I brushed my teeth or took a shower then water supply suddenly goes off! Reception staff only arrives at 9am so if you have a tour that will fetch you around 6am, it is hard to coordinate with them if they are late or lost since nobody in the hostel can help you. 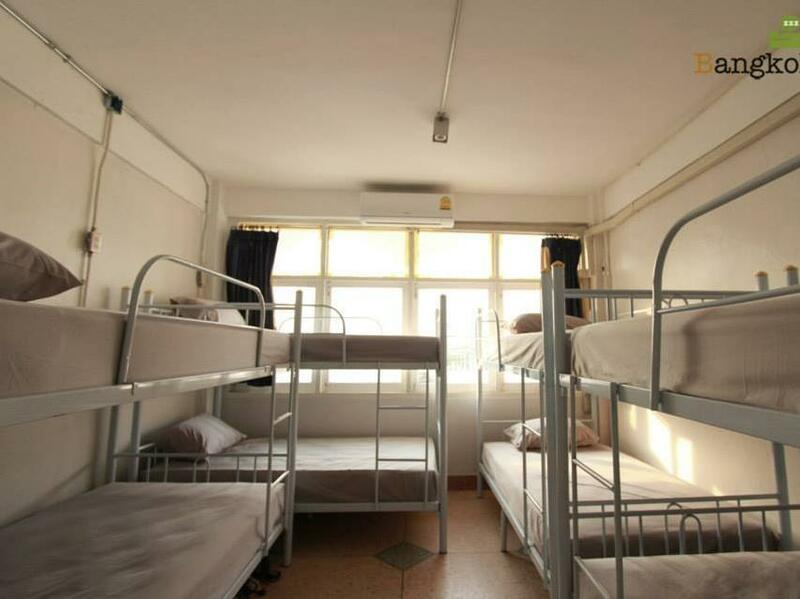 I would definitely look for a different hostel when I go back to Bangkok. Staff are very helpful, nice hawker food and massage nearby. Near to MRT station.We stayed for three nights. The first night the upper floor is a little bit dirty due to we upgraded our room to another room. But after that the staff do cleaning everyday. We are both satisfied during the stay. Staff are very helpful, although there is no elevator but the staff help us to take our luggage up the stairs. There are nice hawker food and massage nearby. 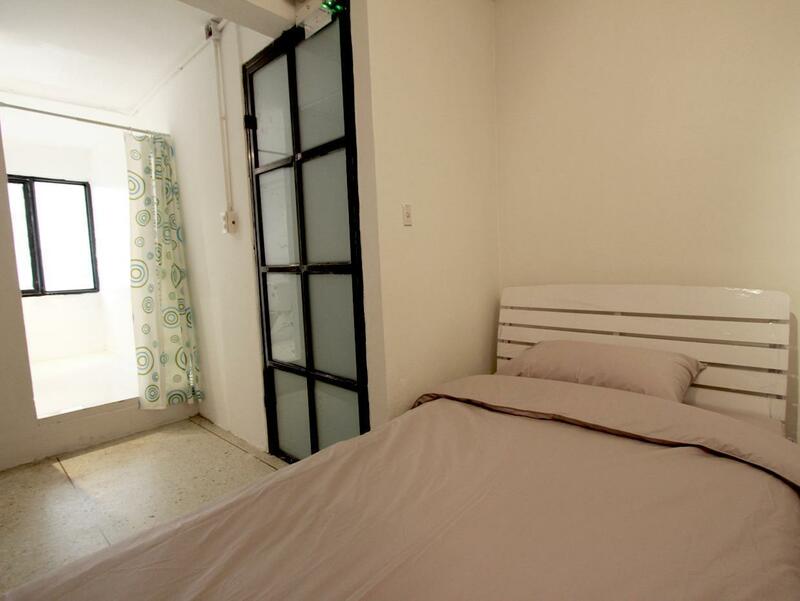 Hostel is 2 minute walk from Silom station which is very convenient for us. 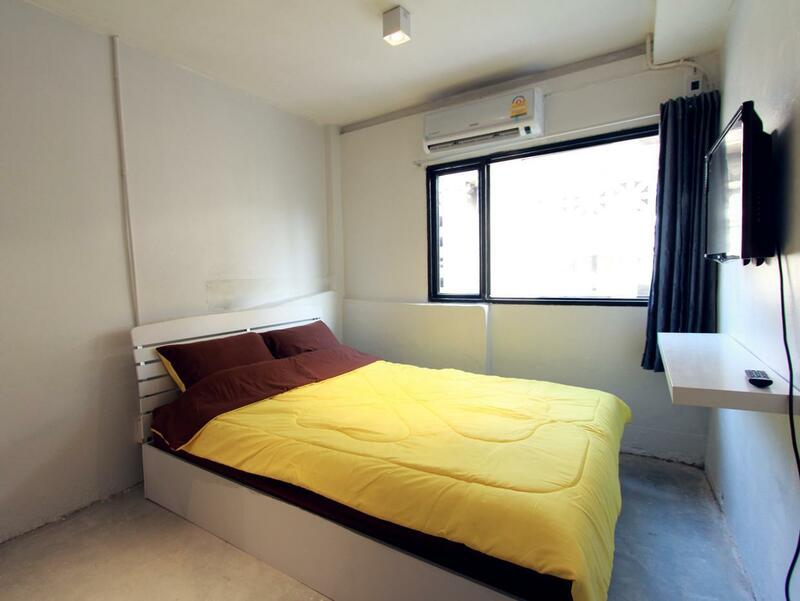 The place is just across the road from Saphan Taksin BTS and interchange of Chao Phraya Express Boat. Basically you're within reach to every part of the city as public transport (BTS, taxi, bus, etc) is easy to get here. 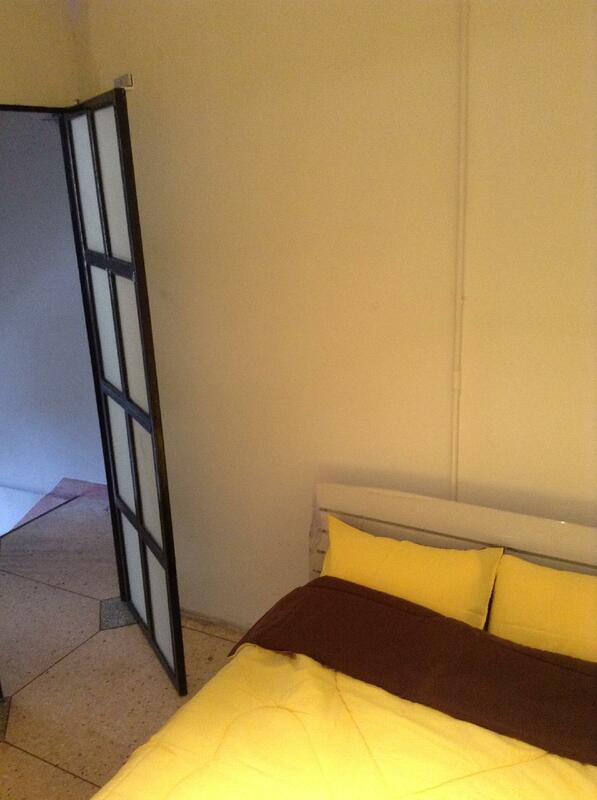 Our room is clean, good size and comfortable bed and the owner is very friendly and can speak English very well. The area is safe even if you coming back late at night. We were two ladies travelling on our own. Recommended for backpacker. Second time great stay. Rooms are simple, minimalist (which is a big plus for me). Check In/out quick and easy. I love the location - next to the sky train an as well the ferry, which is my favourite kind of Bangkok transportation. Also Ghost tower behind the room windows, love it. It is one of the best location in Bangkok where near to pier and BTS Saphan Taksin. We can easily get to any place by BTS and boat. The owner is friendly and helpful, willing to share info and his own experience with us. Unfortunately there is no lift inside. Will come back again when we visit Bangkok again.